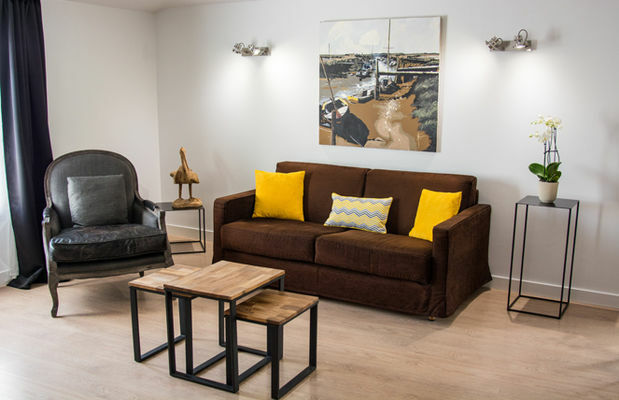 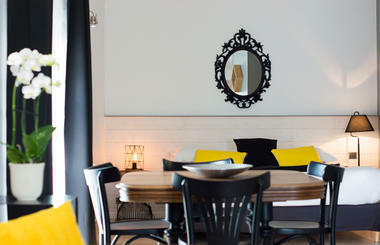 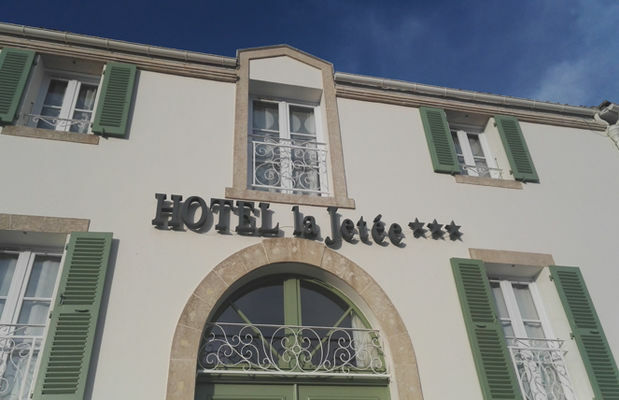 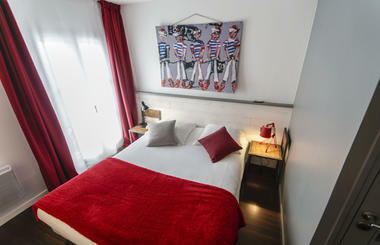 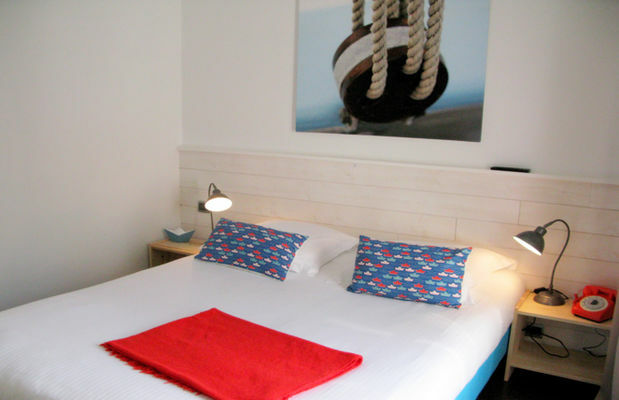 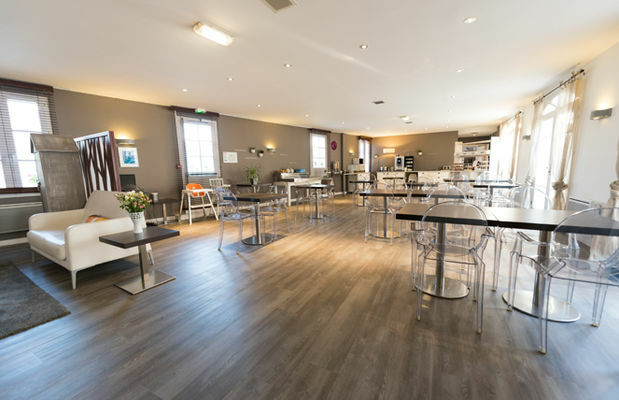 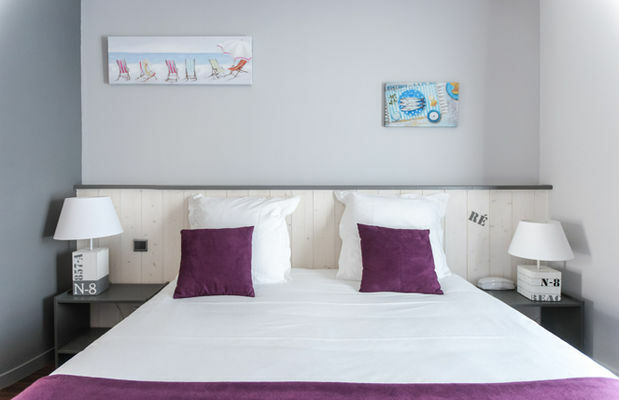 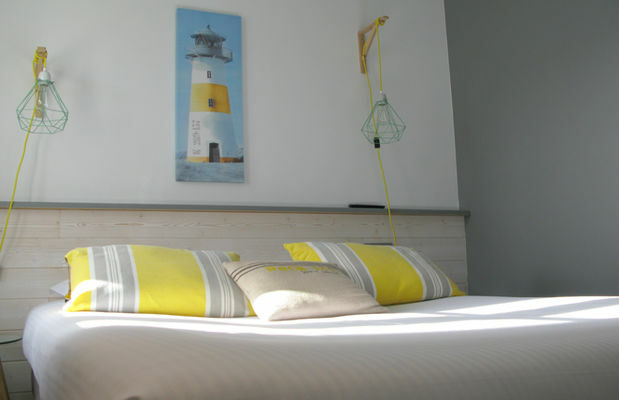 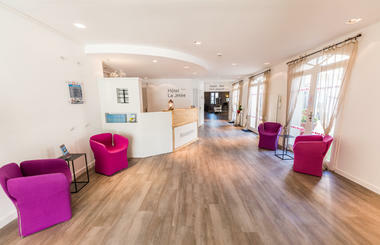 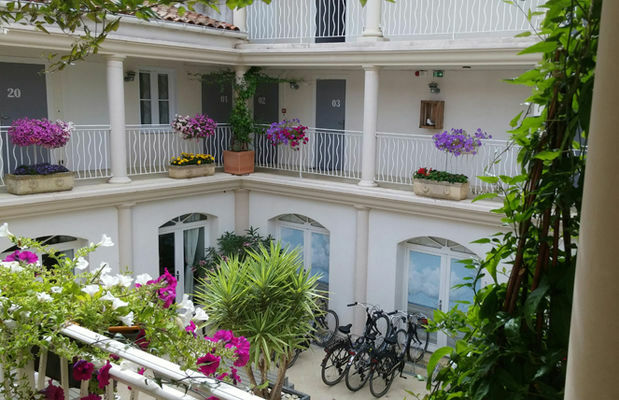 Situated at the entrance to the Port of Saint Martin de Ré, the hotel La Jetée is open all year round. 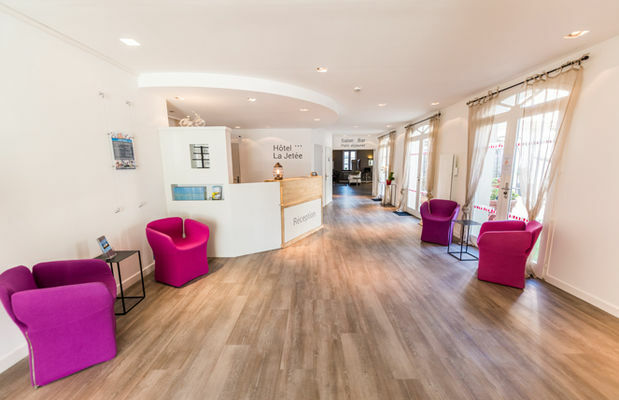 Julie, Teresa, Fatiha, Sylvie and Véronique are happy to welcome you in the relaxed, friendly atmosphere of the hotel, and trust that you will have a happy holiday and enjoy your stay. They will be pleased to advise you on local sights. 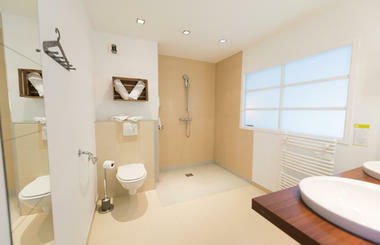 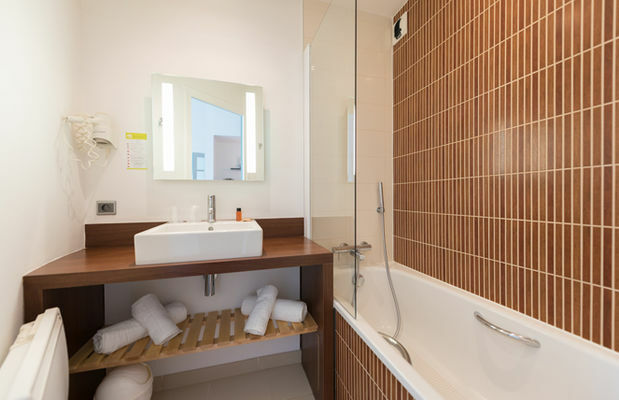 17 rooms and 7 suites situated on two storeys serviced by a lift. 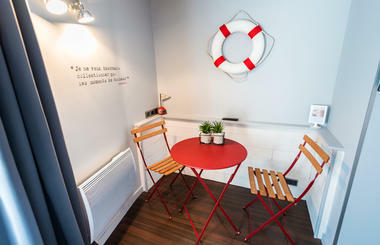 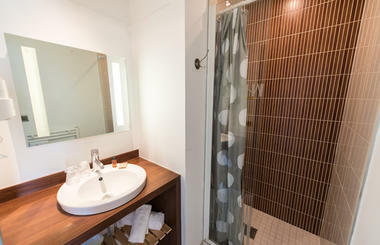 All the rooms are different and non-smoking, and they are equipped with a double bed or single beds, flat screen TV with satellite (including Canal+), telephone, safety deposit box, hairdryer, fan and free Wifi Internet access. 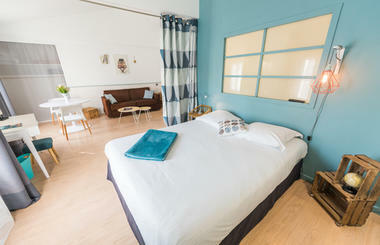 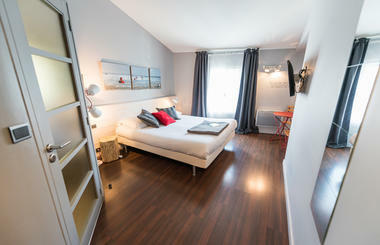 The suites feature a sitting area (convertible couch) and some of them are equipped with a mezzanine with a single bed. And along the day, we invite you to enjoy our lounge and bar in which children will find a play area, not to mention the peaceful atmosphere of our charming patio.